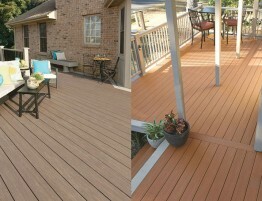 A deck is a great way to increase the value of your home, as well as improve your enjoyment of your home. But it is also a significant investment. 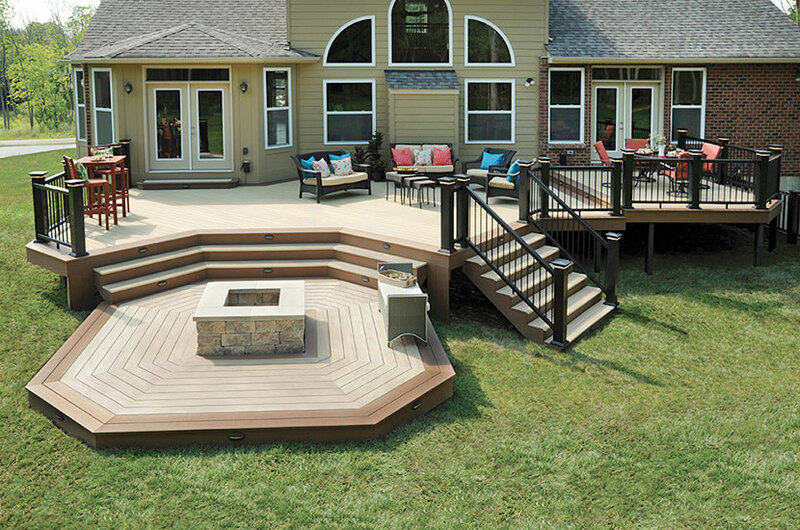 Protect that investment by selecting a high-quality decking material that will hold up to the test of time. AZEK’s capped PVC decking is a perfect choice, offering the beauty of natural wood with the durability of PVC. 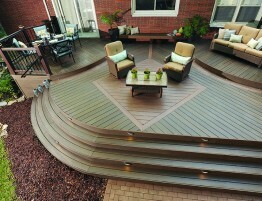 The Arbor Collection from AZEK, available from Kansas City Deck Supply, is an excellent choice. The Arbor Collection offers the warm, vibrant tones of exotic tropical hardwoods. This decking material features subtle color streaking and an embossed texture with a wide grain pattern. Slight board-to-board color variation and color variations within each board create a natural look. The Arbor Collection is available in five exotic wood colors: Silver Oak, Morado, Redland Rose, Acacia, and Hazelwood, the newest color in the collection. 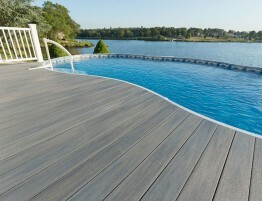 In addition to its exceptional beauty, the Arbor Collection decking also offers superior durability. AZEK’s Arbor Collection is engineered to stand up to anything you can dish out, whether it’s repelling stains from spilled wine or grease from the grill or resisting scratches from pets or patio furniture. It is resistant to mold and mildew and will not split, rot, twist, splinter or warp. It is also impervious to insects and moisture. While all decking materials will heat up in the sun, Arbor Collection decking will feel cooler to the touch than other decking materials. The Silver Oak, Morado, and Acacia colors from the Arbor Collection are available in square shouldered profiles in 12’, 16’ and 20’ lengths. Hazelwood is available in 16’ and 20’ square profile lengths, as well as 12’, 16’, and 20’ grooved profile lengths. Coordinating fascia and risers are also available. If you don’t find the look you want with the Arbor Collection, check out AZEK’s newest product, the Vintage Collection, also available from Kansas City Deck Supply. This line of capped cellular PVC decking offers a more realistic wood appearance than competing decking products. It offers dramatic color streaking and unique embossing with fine linear texture lines for a natural look. It comes in three beautiful colors: Mahogany, Cypress, and Dark Hickory. The Vintage Collection offers the same outstanding durability as the Arbor Collection. It is available in grooved profiles in 12’, 16’, and 20’ lengths and square shouldered profiles in 16’ and 20’ lengths.